Bespoke training to suit you. Sessions are structured around the BKSA and IKO standard with the option of a qualification. 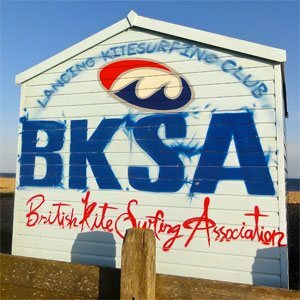 BN1 is an approved South Coast Kitesurfing School by the BKSA, Lancing Kitesurfing Club and Lancing Council. Learn the Basic Flying Skills related to all traction power kite sports for example, Buggying, Land boarding or Snow kiting. If your seeking a starter course into kitesurfing this is the one for you. First steps are learn to use a land power kite as a power source, harness the power and then extending those skill sets to a four line kite applicable to all kite sports. To compliment your practical skills there’ll be some theory on location and weather awareness plus more. Day one syllabus with the second day being your first session in the water. Probably one of the most exciting sessions you’ll experience, transferring your new found flying skills into the water, plus more. This session can & may be repeated many times until your happy with your flying skills in this new environment. From Beginner to advanced phases of learning, Private 1:1 sessions are the ultimate choice to invest in as this time is just about you. Bespoke sessions designed around your learning style. Alternatively if you just want inspiring, give us a call and we’ll offer something extra to add to your kitesurfing toolbox. *On water Radio Communication to bridge the gap between student and teacher. Coaching is all about you or could be others in a group. Focusing on your technique to perform with precision & style of your own. If any of the above sound familiar or you have any other wishes try a Private or Group Coaching Session to Boost your ride! Kit Set Up – How to get the best out of your personal equipment. We’ll help you tune your kit with endless amounts of technical knowledge. Workshops in partnership with Lancing kitesurfing club. Free Safety Workshop for Lancing Kitesurfing Club (TBC). Meet (2016 dates TBC) In South Lancing Car Park. Open Discussion on how to get the best out of your performance with safety in consideration. Recap on how to self rescue your self using your own equipment. All the above options can be purchased as Gift Vouchers! Simply get in touch and we can arrange the perfect birthday surprise or present.